August of 1979 saw the presentation of the first organized car show in downtown Covington. 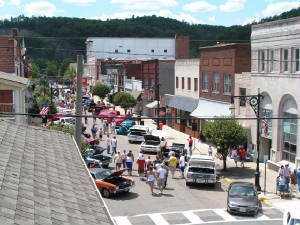 Streetscene, as the show would be known, would become the longest running open car show in the Commonwealth of Virginia. Main Street of Covington and the mid-city mall parking lot would be lined with classic cars, trucks, and motorcycles of all kinds for area residents to view and enjoy free of charge. 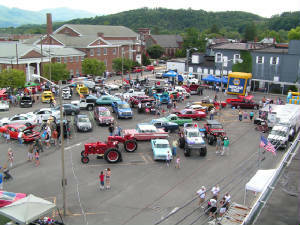 Classic music from the 50's and 60's filled the air on the bright sunny August day as thousands of people attended this event that was like no other ever held in Alleghany County... As Kars Unlimited entered the 80's Streetscene would continue to grow each year, sometimes as many as 300 vehicles would be on display. Activities would continue on Saturday night at Cocci’s restaurant where local residents could travel back in time to 50's night. Music, classic cars, and nostalgia. Kars Unlimited was on a roll. Sponsoring car washes, dances, and poker runs each year. And as with always donating the proceeds to charity. By the mid-Eighties Streetscene was attracting entries from many miles away. The Saturday night activates however had outgrown the space limitations of Cocci’s and were moved in different years to downtown Covington, Casey Field, or the Aides parking lot. Live music now filled the air on Saturday nights. Streetscene had become the biggest weekend event in Covington. The 20th Streetscene was held in 1989 and attendance was as strong as before. Though the population of Alleghany County had dwindled somewhat Kars Unlimited was as strong as ever. 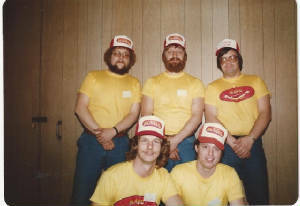 New members became involved in the club, though some club activates ceased by the early 90's Kars Unlimited was still very prominent in the community. Streetscene remained the featured attraction throughout the 90's. Though not as large of a show as it was in the early 80's it was still a huge hit. Streetscene Saturday night activities continued to draw large crowds each year as some of the best area bands performed for local residents. 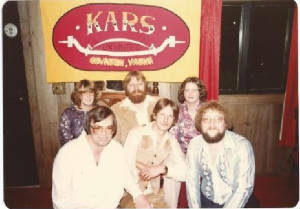 Kars Unlimited members also frequently attended other shows during this time, and were regular participants in area Christmas parades. Most importantly, Kars Unlimited was continuing to work hard to raise money for local charities including the Christmas Mother program. 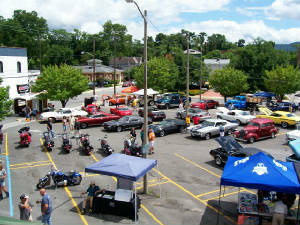 During August of 2008 Kars Unlimited presented the 30th Anniversary Streetscene. It was an incredible event, one of the largest Streetscnes ever presented. Many faces form the past were present, and so were many new ones. Cars overflowed the mid-city mall onto Locust Street. It was a grand event. Streetscene 2008 was followed up by a very well attended Saturday night event at the new Jackson River Sports Complex. The grassy open air ampatheatre would become the perfect venue for the clubs night activates. 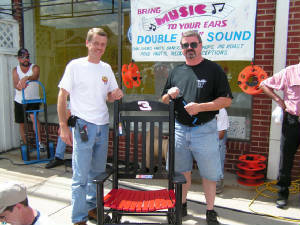 During 2009 the 31st Streetscene was presented and it too had the flavor and feel of the old time shows. 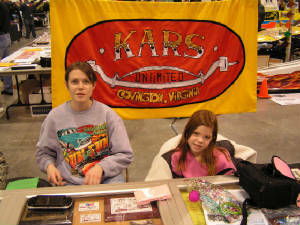 During this time Kars Unlimited members also became very involved in the MDA Car Show in Roanoke, Virginia. Representing the club on site each year, and often displaying one or more of the member’s vehicles... In early 2010 the Kars Unlimited website became active and the club changed its colors back to the original red and yellow of old. Streetscene 2010 was one of the best events ever with over 200 cars entering the show. The highlight of the weekend however was the Saturday night concert at the Rock River Amphitheater featuring the tribute bands Hard Day’s Night and 2nd Flyte. Over 1,200 people attended the concert. 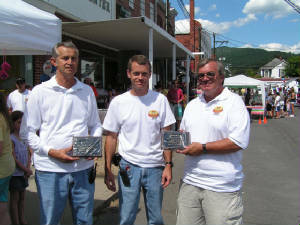 It was an event like none ever seen before in the Alleghany Highlands. By popular demand Hard Day’s Night and 2nd Flyte made another appearance during the STREETSCENE Saturday Night Concert in 2011. This time they were joined by English Channel. Over 1,200 people attended the concert. The 2011 edition of STREETSCENE featured over 220 vehicles. Kars Unlimited celebrated their 35th Anniversary in 2013 in grand fashion, over 230 cars participated in STREETSCENE 2013, and over 1,500 area residents attended the STREETSCENE SATURDAY NIGHT Concert at the Jackson River Sports Complex featuring the band LEGGZ and a fireworks display presented by the City of Covington. Kars Unlimited returned to their roots in 2014, hosting several cruise in's at the new Tractor Supply store at the Mallow Mall. Each event evoked memories from the late 70's when club members and friends would hang out at the Mallow Mall, show their cars, and have some good clean fun. Keeping with Kars Unlimited desire to help residents in the area in need, each cruise in served as a fund raiser for an area resident in need. The year 2015 was an incredible year for Kars Unlimited. The 37TH STREETSCENE was the largest in over 20 years with 292 vehicles participating. The club also hosted several cruise ins and participated in several area shows. On a sad note, the club also lost one of its founding members Jeff Hicks. Jeff will be remembered fondly by all current and past Kars Unlimited members. In 2018 Kars Unlimited Held the 40th Annual STREETSCENE in downtown Covington. It truly was a grand spectacle. Nearly 300 cars were in attendance and the event saw one of the largest public crowds ever. Special tribute was paid to fallen founding Kars Unlimited member Denny Pence and our two remaining charter members Eddy Clemons and James "Twig" Bush were given a special tribute. The STREETSCENE Saturday Night Concert featured the band THE ENGLISH CHANNEL playing to a packed River Rock Amphitheater and the night concluded with one of the largest fireworks displayed ever presented in the City of Covington. Heading into 2019 Kars Unlimited is hard at work on the 41st Annual STREETSCENE and a full calendar of Cruise In's and other activities. The tradition continues. We hope everyone can be a part of it this year.